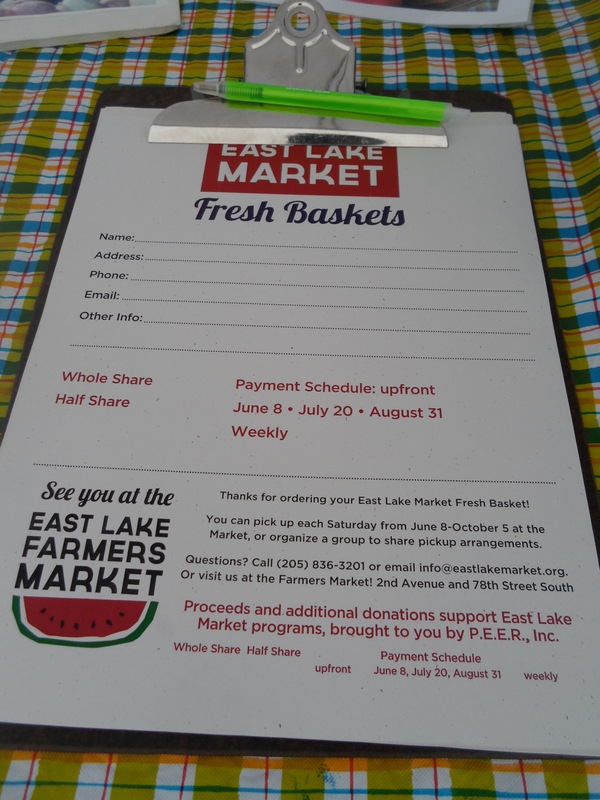 Sign up for an East Lake Farmers Market Basket and receive fresh produce from local farmers all summer long, from June 3 ’til October 7, 2017! Our baskets include a tasty variety of seasonal fruits and vegetables, plus occasional specialty items such as local honey or homemade jam. 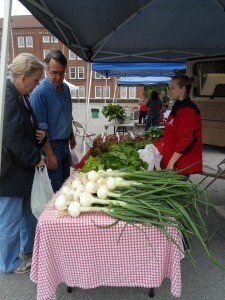 The items are all purchased from our local farmers and the selection will be whatever is currently in season. On average, a whole share will feed a family of four people a week and a half share will feed two people a week. If you are out of town during one of your scheduled weeks to receive a basket, you can designate your basket to a friend or neighbor, or donate it to our local food pantry. We welcome credit, debit, food stamps (EBT), cash or check as forms of payment. 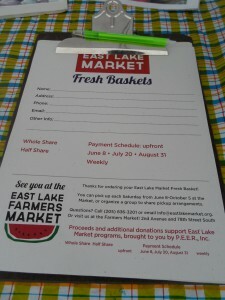 Proceeds from the Fresh Market Baskets support our Senior Market Basket Program which provides produce free of charge to Birmingham area low-income seniors. You can make payments by the week, in installments, or up front. Groups of 5 or more save even more! If you choose to order by the week, please fill out the form or call by noon on the Wednesday of the week you wish to receive a basket. 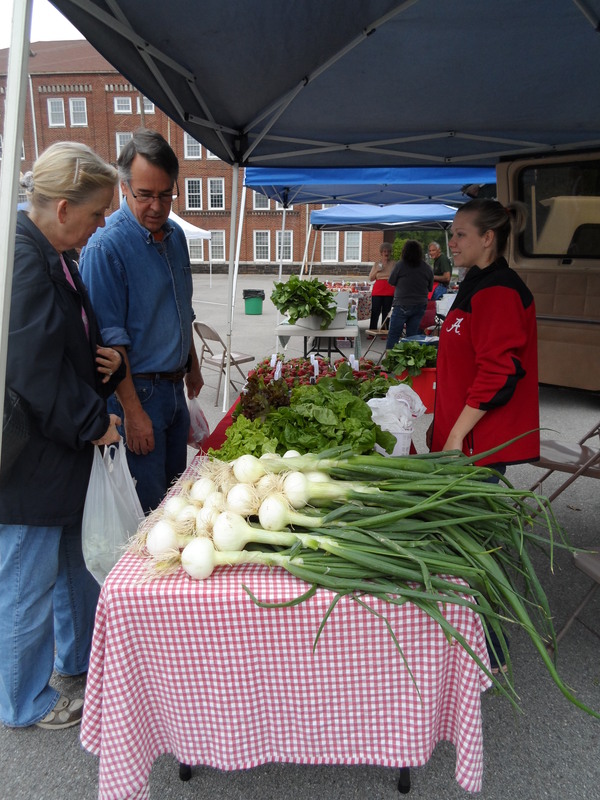 No need to go to the grocery store this summer, just fill out the form and the fresh farm produce will be waiting for you at the market each week!